According to Wall Street Journal News, Radio host Rush Limbaugh is a public figure, but in many ways he’s intensely private. So it’s especially surprising that he posted images from his June wedding to Kathryn Rogers on Facebook. 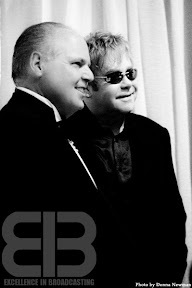 And it may be surprising to some that Elton John–who performed at the wedding–is among the folks pictured in the photos. Typically, Speakeasy doesn’t care too much about weddings. But the images from Limbaugh’s nuptials have already provoked scrutiny and commentary across the web. What do the photos say about his public statements versus his private conduct? What does the guest list say about his view of the world? And was the party more or less fun than Chelsea Clinton’s wedding?